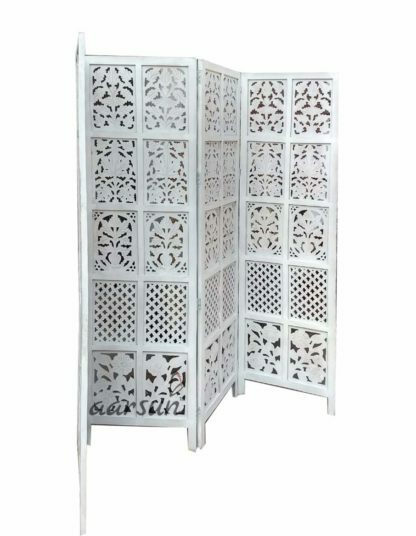 Aarsun Woods handmade wooden Handmade Partition / Room Divider in fine quality wood. 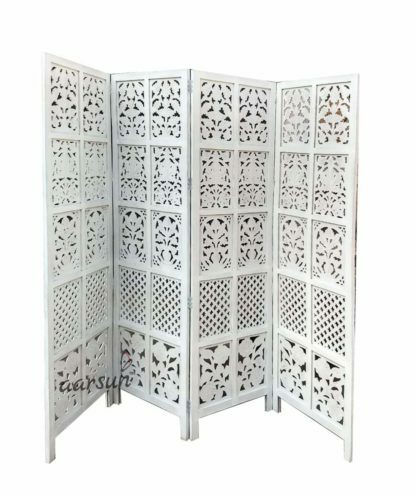 The unit consist of 4 panels and each panel comes in standard size of 20″width in front and 72″height approx.The wooden partition gives very traditional and elegant look to your home. The wooden partition can be placed in zig zag position and can be fold easily and you can easily move it from one place to another. 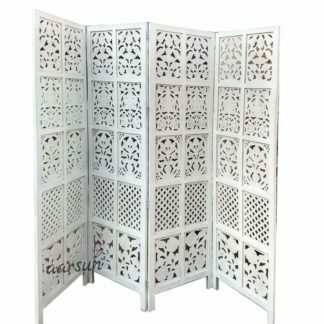 Wooden Room Dividers can be used as Privacy Screens or can also be placed in Pooja Room for dividing the space elegantly. 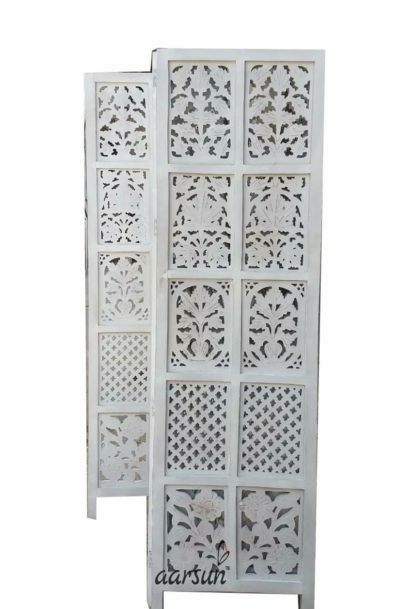 Have an ethnic and stylish look to your living space or work-space with our Handcrafted Wooden Room Divider Partitions artistically feature timeless designs. Each Room Divider is made by attaching 3 / 4 / 6 panels that can be extended or used as a single panel for decoration purposes. Each Panel is 72 inches (6 feet approx.) high and 20 inches in front width. The Room Divider needs no assembly. The Partition Screen / Room Divider can be folded and moved from one room to another without any worries. The Room Divider is to be placed in zig-zag position and free-floor standing.